Wind power is a medieval technology that most people visualize coming from Dutch windmills in the 1600’s and 1700’s. The 1600’s were also known for the Tulip Bulb Mania, which the Dutch fittingly called “windhandel” (“wind trade”) because no tulip bulbs were actually trading hands. Tulips were traded on the decentralized stock exchanges in the taverns of Dutch towns, typically using a slate board to post bid prices. 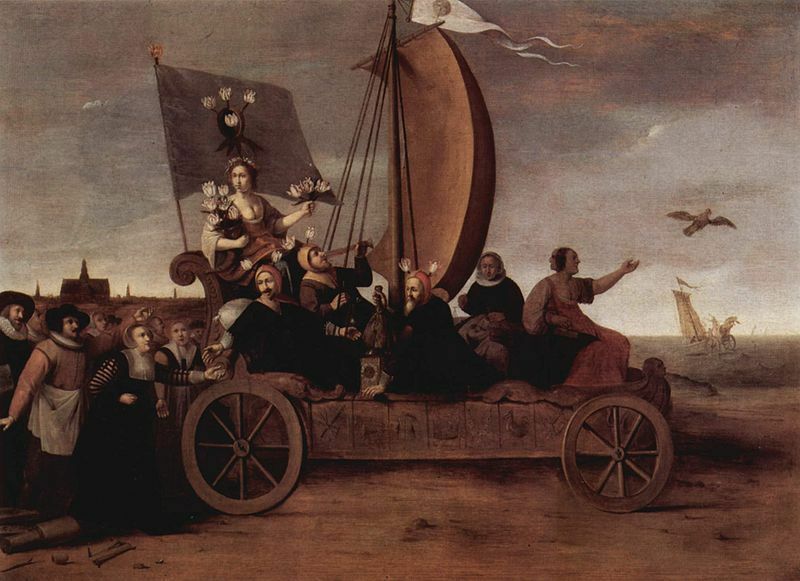 The famous Dutch artist Hendrik Gerritsz Pot’s 1640 painting “Flora’s Wagon of Fools” depicted Flora, the goddess of flowers, riding in a “wind powered car” with attached tulip bulb flag, a drunk openly drinking an alcoholic beverage, a monk or priest with tulips in his hood and carrying a money bag, a two-faced Goddess of Fortune, and followed by a horde of corrupt weavers seduced by a get rich quick scheme. The painting is eerily contemporary to our times. Replace tulips with wind power, and slate boards with “asset-backed security,” “feed-in-tariffs and “advance mitigation funds,” and you have the makings of a modern day Wind Power Mania. Not to be deterred by the worldwide collapse of green energy and the threat posed by the drop in natural gas prices due to new drilling and “fracking” technologies, Ryan Wiser of Berkeley’s Lawrence Livermore National Lab, recently calculated that 5,000 more wind turbines would need to be added to the 13,000 existing turbines in order to meet California’s proposed mandate of 33 percent renewable energy. Modern day wind turbine spacing methods call for no more than four turbines per square mile, which would encompass 1,250 square miles (or 800,000 acres) of additional land visually blighted by wind turbines. This would comprise nearly the entire area of Santa Clara County. Mark Jacobsen, a Stanford engineer, calls for full “decarbonization” of worldwide energy production, which would require 4 million turbines. Jacobsen states that if 90 percent of the world’s power were supplied from green energy, it would only encumber 10 percent of all the land, including spacing between wind turbines and solar panels. Jacobsen doesn’t say if sufficient high grade wind, solar, geothermal resource lands are even available near transmission lines to meet the 10 percent requirement in California, such as lands located in high wind resource zones and mountain passes, in deserts not prone to frequent dust storms, hot springs for geothermal plants, and off shore ocean bottom land for 400 to 500 feet high wind energy platforms, which would require permits from both the State Lands Commission and the Coastal Commission. A new study indicates California has an amazing 587.7 gigawatts of potential wind energy along its coastline. But 97 percent of it would be located in deep ocean waters (200+ feet) that would make wind turbines economically infeasible, and currently banned by the California Coastal Commission. Wind energy mania continues in California unabated even as green power is collapsing in Holland, Great Britain, Spain and Canada. Jacobsen further states that to be able to provide enough electricity to meet “base load” power needs, green power would have to rely on hydropower. But hydropower is forbidden under California’s Green Power Law (AB32). Wind power is only about 10 percent to 20 percent efficient due to the variability of wind and is not reliable for supplying everyday base load power, as opposed to peaker power, which is needed when there is a heat wave or cold snap. Jacobsen adds that energy from fossil fuel results in health damages mainly due to air pollution. This is refuted by Joel Schwartz of Harvard University who has “documented…evidence that even air pollution levels far higher than any we experience in the U.S. are perfectly safe, and that the nation’s air does not cause adverse health effects” to children’s health, asthma rates, premature deaths and that even diesel fumes are harmless. Air pollution is a nuisance, an irritant, and a visual blight, not necessarily a health hazard. And is it any more a nuisance than a wind turbine? Wind power mania reached its peak in 2010 when California passed SB34 and AB1012 for the provision of “advanced mitigation” funds and fast tracking of land use permits for green energy projects. 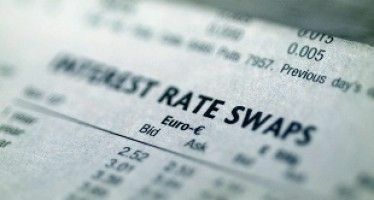 The American Recovery and Reinvestment Act (“Stimulus”) funded this legislation with a $1 billion revolving fund. This funding and legislation provides for green power developers to reimburse the government for acquisition of advanced “mitigation land” so that their projects aren’t delayed. Real estate appraisers report that the panic to buy mitigation land has reached such desperation that in many areas such land is getting in short supply because for every acre impacted, three acres needed to be acquired for mitigation. If there is a collapse of green power in California what will happen to all the acquisition of “advance” mitigation land that should have been optioned or leased instead? Wind farms don’t supply the taxpayers who subsidize them with annual reports, with audits, or, using President Obama’s term, the percent of return on “investment.” And what about insider trading with all the crony capitalism involved with green energy projects? Such abuses would make Martha Stewart’s insider trading conviction look like she was a girl scout who won the ethical investing badge. Government has been manic about replacing conventional energy with wind power. Wind power was unable to survive on tax credits alone, so Congress granted the wind energy industry up-front tax grants. Wind power developers didn’t have the upfront money to buy mitigation land to fast track their zoning approvals fast enough, so they were granted advanced mitigation funds using Federal Stimulus monies. After the Federal Energy Regulatory Commission (FERC) denied then-attorney general Jerry Brown’s appeal to force electricity ratepayers to pay premiums for high-priced green power, Brown proceeded to stack the CPUC in the hopes of forcing electricity ratepayers to do what FERC denied. Now wind energy lobbyists are demanding Federal and state mandates to use wind power. Green power will get to trump all competitors regardless of price and put providers of conventional energy out of work. Wind power in California is a governmental tulip bulb craze. what a fool’s race…does California go fiscally bankrupt first…or morally? I smell that terrible Brown odor again. Another lib swindle. Numbers are their enemies. How much per KWH does wind cost to set up, generate and subsidize? Its never clear exactly because of all the shell games but the costs arent even comparable. All these windmills will be rusting relics in a few years after the state’s impending bankruptcy chokes off the subsidies. Reading this wind power article reinforces the mess that the envirocrazies have made in the Province of Ontario, Canada. Same nonsense and the same out of this world costs. No wonder, California and Ontario are in a race to see who can have a higher deficit and debt.